Until nearly the end of Dragonheart, Fiona had been a very young Weyrwoman in the past, during a long episode of time travel. Essentially, she had led a large group of young dragons and young dragonriders with the primary purpose simply to survive and to mature in the relative safety of the past. That worked, and so they gained time, or adult man- and dragonpower, for the Pernese to handle the current crisis. Upon return from the past, Fiona is no longer Weyrwoman, but she has that experience, and the proven love and loyalty of many who had traveled with her. Early in Dragongirl, the entire force of centrally located Telgar Weyr is lost to a sudden disaster — all its mature dragons and dragonriders, about 300 pairs. That leaves only the support population, with almost no adult men, and some of the young, retired, or sick. Fiona's group of recent travelers is transferred to Telgar, among others, and she is Weyrwoman again. Following the plague that had decimated the dragons, and the loss of an entire Weyr, the remaining dragons are overstretched, and the limited numbers lead to even further casualties. 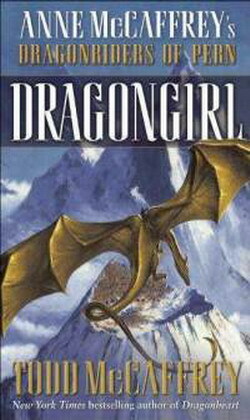 The novel follows Fiona, now as Weyrwoman of Telgar, as the dragonriders come to realize that there are no longer enough dragons to protect the planet for the whole Pass.